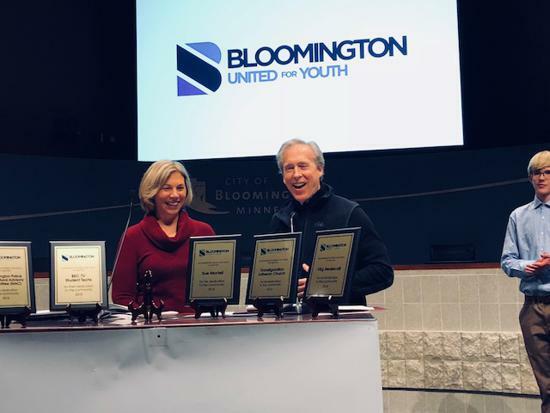 CONGRATULATIONS TO THE WINNERS OF THIS YEARS BLOOMINGTON UNITED FOR YOUTH (BUY) RECOGNITION AWARDS! 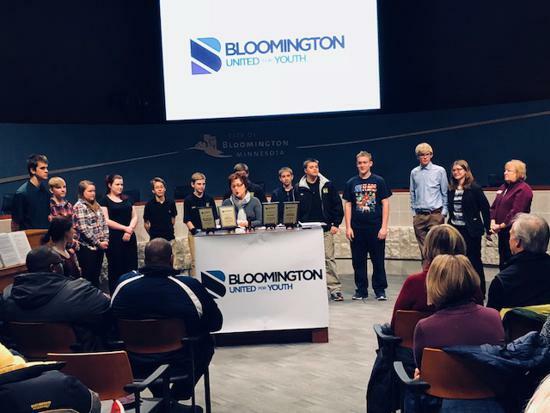 Bloomington United for Youth (BUY) hosted the annual BUY Volunteer Recognition Event on Tuesday, February 5 to honor youth, adults, and community groups that make a positive difference through volunteerism. 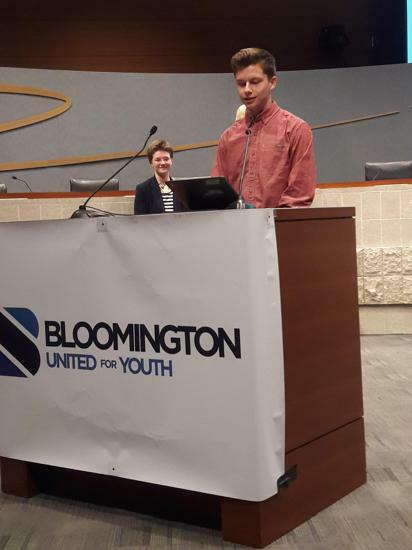 BUY is a volunteer organization that works to engage the entire Bloomington community in the positive development of youth. 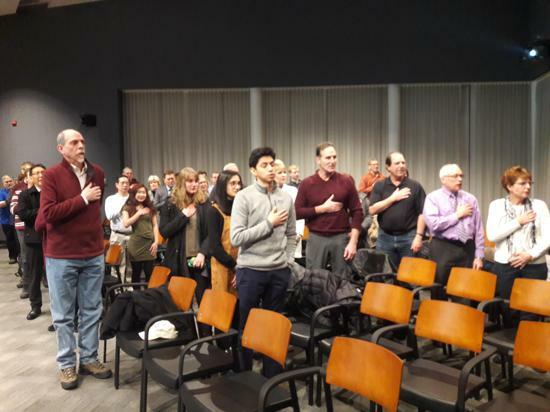 BUY is composed of members from local government, schools, the faith community, businesses, civic and service organizations, as well as youth. 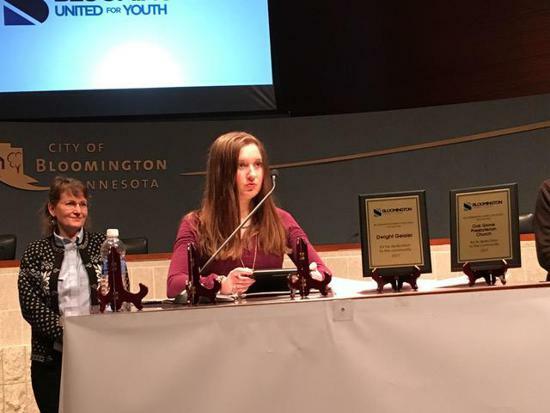 Awards are given in the areas of Individual Youth Recognition, Youth Organization Recognition, Individual Adult Recognition, and Community Group Recognition. 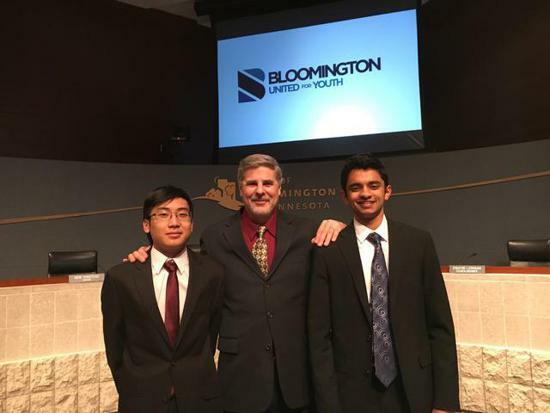 Tom Daly has been tutoring many Bloomington students since 2013. Guiding 3rd, 4th & 5th grade students through homework assignments at the Westwood Elementary Homework Connection two days each week. He always strives to encourage the students to do more than just complete their homework assignments but to understand the concepts and have fun. Ann Tillotson was a parent of the Bloomington Public School. Ann has seen many students going without lunch whether at school or home. She started the program "Children's Food for Thought" (CFT). 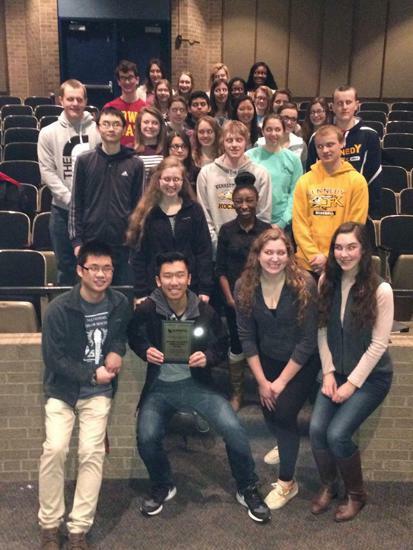 By raising donations Ann was able to help feed many students in need of help across the districts. 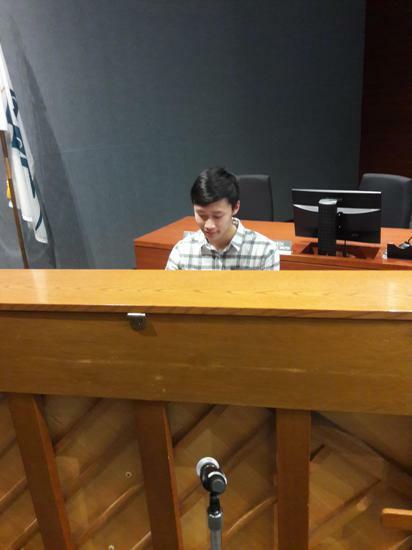 Tommy Panvika has been working tirelessly to raise money with the Leukemia and Lymphoma Society (LLS) by holding cancer nights at sports games (basketball & hockey), Chipotle fundraisers, and fundraising selling bracelets at school having competition between grades. In honor of his friend who suffers from Chronic Myeloid Leukemia (CML) and in honor his uncle who has survived Leukemia. Tommy started this campaign on his own, and now, has a team of family and friends who are helping Tommy's cause. He created a fundraising page at SOYTeamTommy.com to reach out to many people as possible to support his cause. 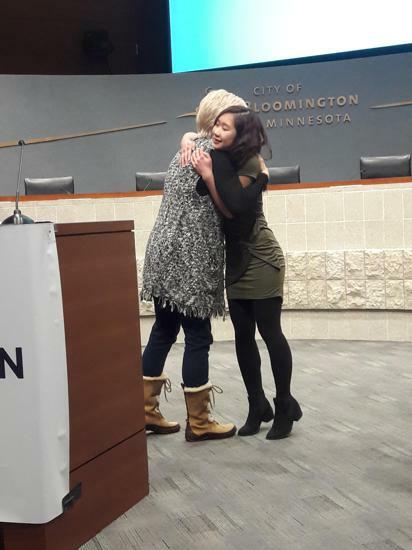 Jeane Chan has been a great role model for Blooomington students since 2016. 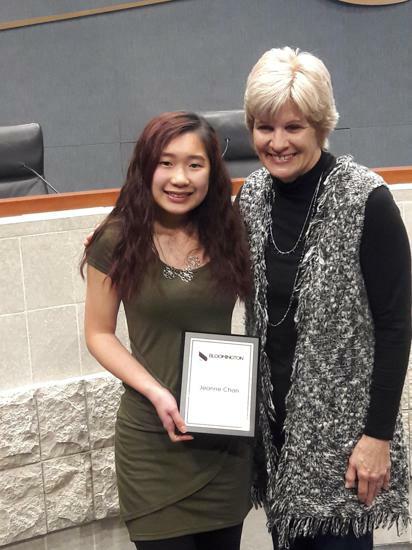 This gifted Kennedy High School senior understands the importance of helping others. She contacts the Volunteer Connection office each year asking how she can volunteer. Jeane mentors students of all ages at the Family Homework Connection program. When there is a student stopping by needing of help with Math we send them to Jeanne. Often students seek Jeanne to receive help each week. Having volunteers like Jeanne encourages students to attend because they know they will leave with a better understanding of these concepts. St. Michael's Lutheran Church has supported The Sheridan Story, a weekend food program. As a result of their financial and human resource support, approximately 30 Normandale Hills students and families receive a bag of food at the end of each wee to help combat the gap to food access they face. 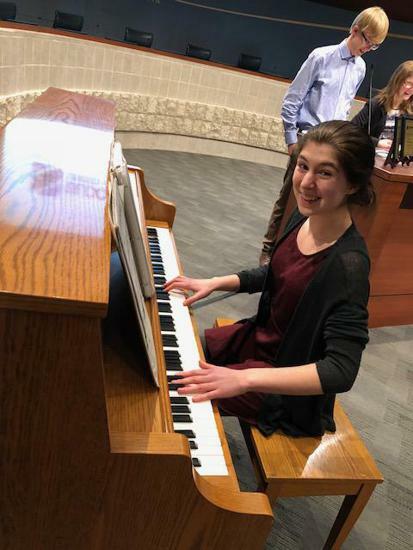 Members of the St. Michael's congregation also volunteer at the Normandale Hills on a regular basis through our Homework Connections program, and extended school day program meant to provide academic and social support to students who would benefit. 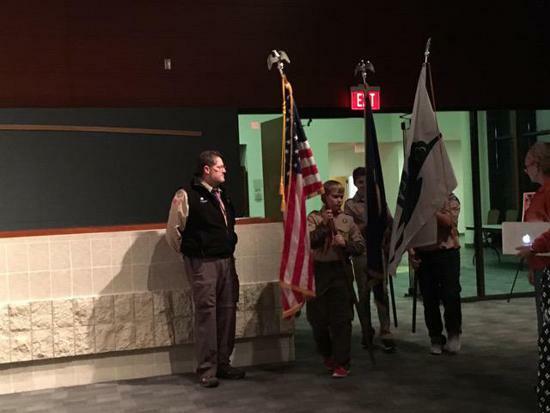 The Bloomington Knights if Columbus have been quietly serving our community for over 50 years. Each year, they host Free Throw contests and a Soccer Kicking challenges for both boys and girls at our local high schools. 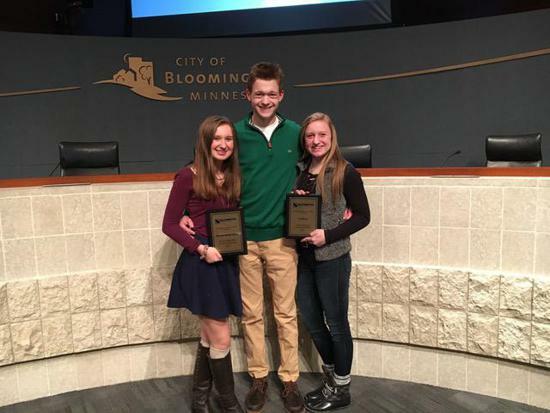 The knights organizes an annual coat drive which keeps Bloomington kids warm every winter. 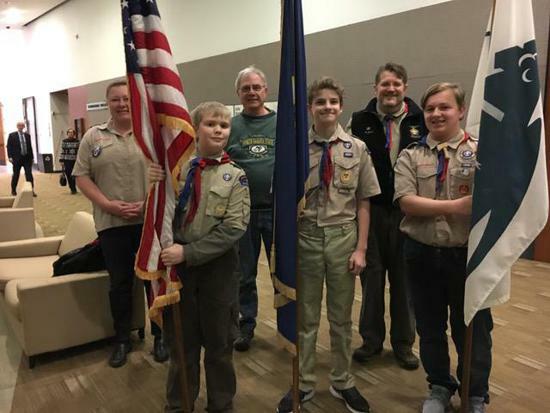 They also make their hall available for many local youth groups (such as Lacrosse, Hockey, and Soccer teams) for pancake breakfast fundraisers. 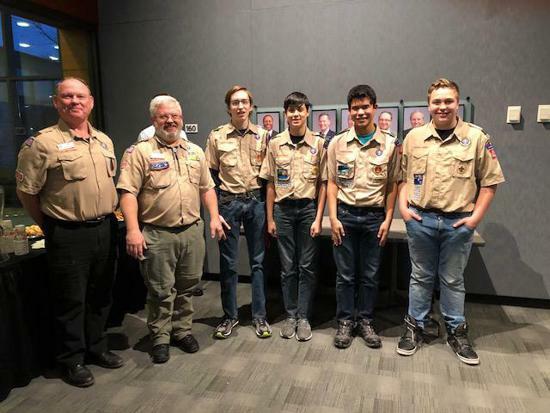 The Bloomington Knights of Columbus raise fundraisers and big supporters to schools and our community events such as the Bloomington Bookfest and Special Olympics, by raising money with their annual Tootsie Roll drive. Over the last 3 years, Student Government has expanded from the 15 people to over 70 committed students. They have made Kennedy dances the "place to be" by selling out each year for Homecoming. 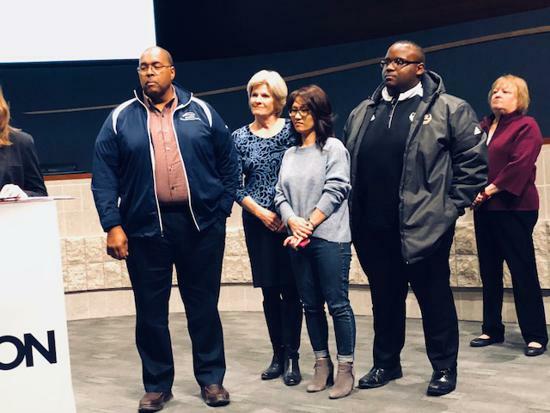 They have strengthened the Kennedy community by celebrating our cultural diversity and providing student leadership and unity in a divisive political climate. They have worked tirelessly to make Kennedy stronger and more unified than ever. 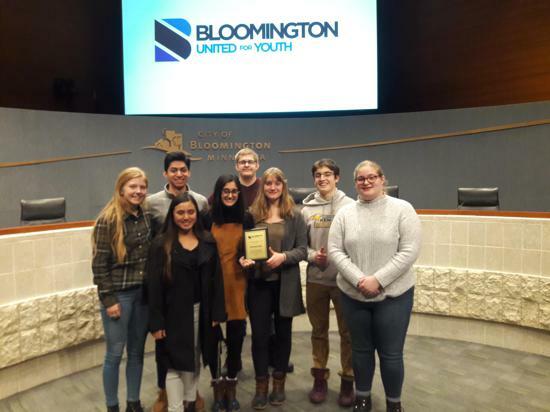 Bloomington United for Youth will be holding their annual BUY Volunteer Recognition Award on Tuesday, February 5. 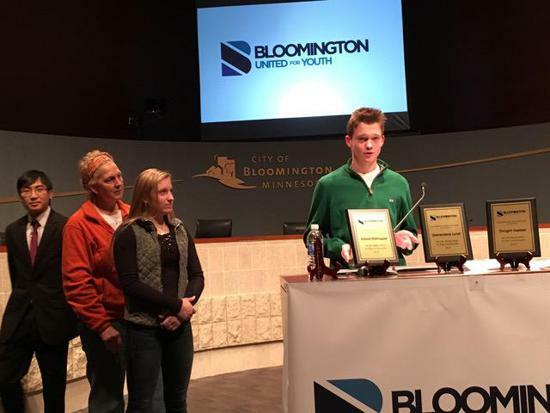 These awards are given to those that have spent their time volunteering and having a strong impact community. 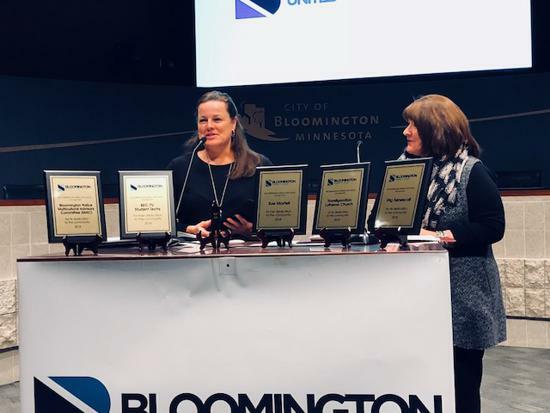 If you know someone who meets these criteria, please click on the link below to complete a nomination form online/print by Friday, January 25. Submissions can be accepted electronically or by mail. 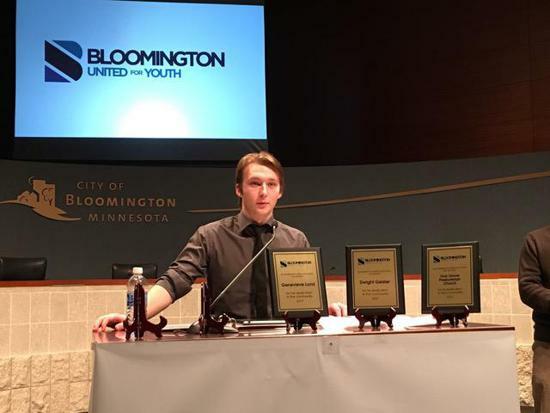 If you have any questions please contact tringdal@isd271.org or (952)681-6527. 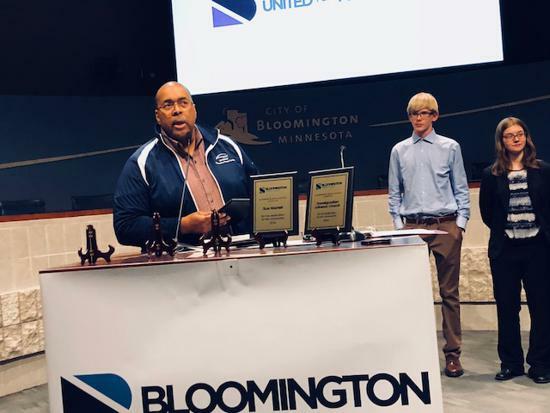 As many may know plenty of Minnesota high school students will be and or thinking of applying to colleges and universities. To encourage students to make that first step some of these colleges and universities do not charge application fees or at a certain time of the year. So please check the link below or share to anyone interested! You must complete the attached registration form and turn it in, along with a $5 registration fee to your School's Front Office by Friday, May 4 at 2:30 pm. After 2:30 pm, please bring your completed form and fee to the event and we will accept it until 9 pm. 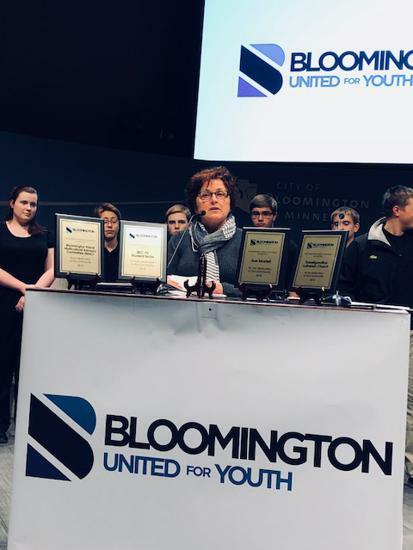 Bloomington United for Youth (BUY) hosted the annual BUY Volunteer Recognition Event on Tuesday, February 6 to honor youth, adults, and community groups that make a positive difference through volunteerism. Over 5 years ago Dawn Anderson started a free clothing resource called "Closet of Hope" at Bloomington Covenant Church. 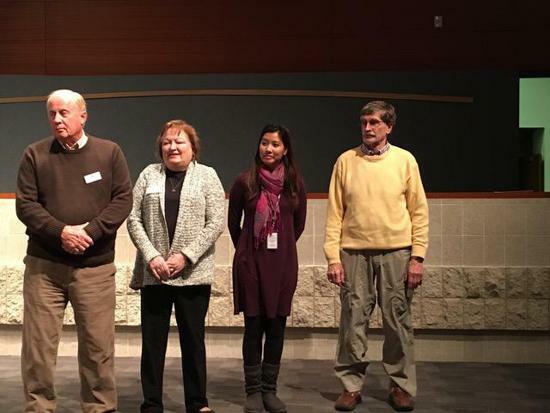 The operation started small, but now serves 250 Bloomington and Richfield residents each month. The shelves and racks are filled with clothing for all ages, footwear, coats, bedding and towels. Dawn and her team demonstrate, empathy, kindness and generosity with all of the people who come through Closet of Hope. 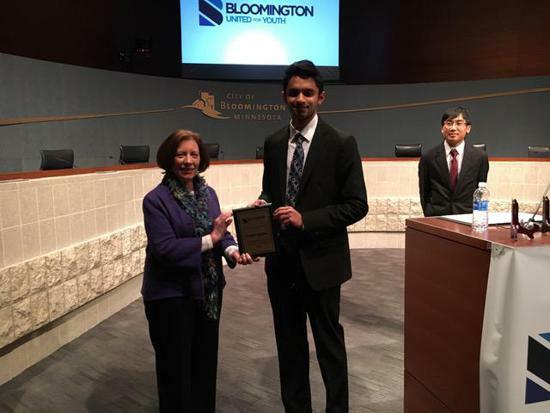 Virg is also a Board member of the Educational Foundation of Bloomington. Virg says "Giving back through volunteering and helping others is the most rewarding way to spend your life!" 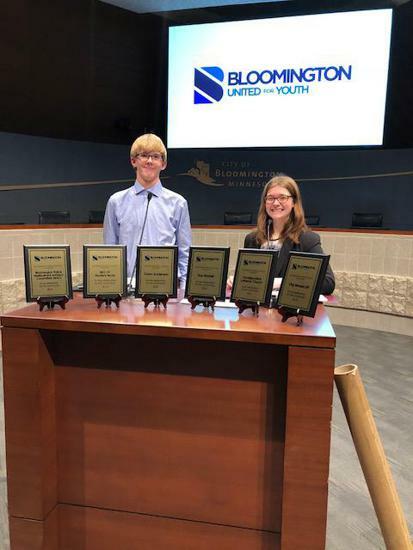 Nominated by Kennedy principal Carol Kampa, these 7-12th grade volunteers work in all areas of TV production from directing to cameras, to on-camera talent. 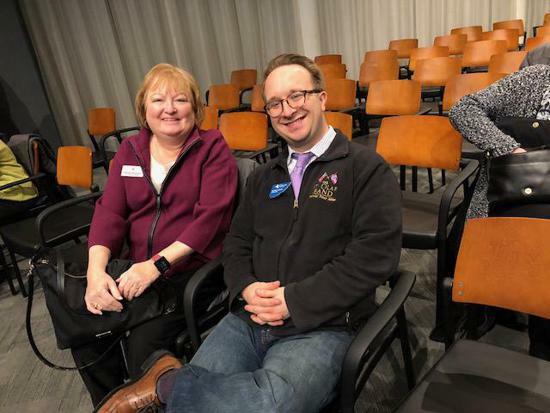 They work at schools throughout the city, not just their own school helping create between over 500 new shows from Bloomington's public and private schools each year. 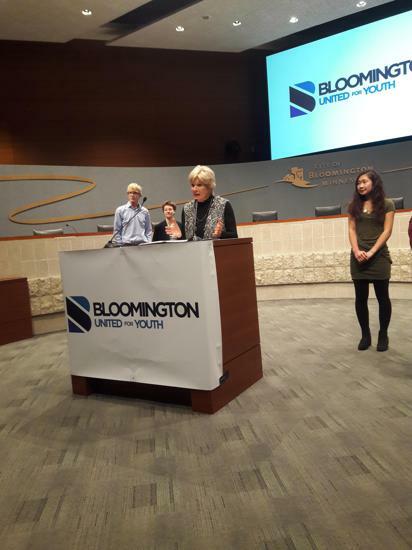 These students help bring a slice of Bloomington to homebound seniors in our community so they feel included and informed. 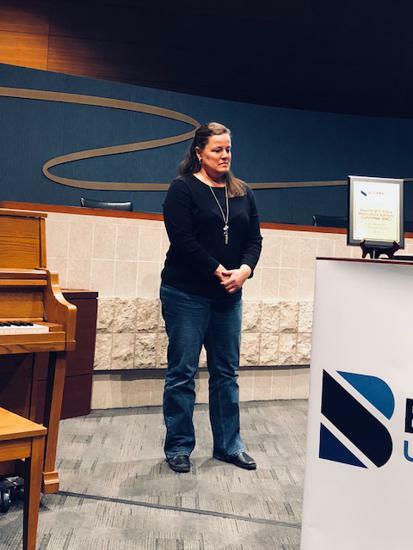 MAC has been serving for 10 years to help connect new citizens and youth to the Bloomington Police Department. MAC works as a liaison for the communities, creates opportunities to get to know the Police, and familiarize communities to local law. "Holiday Helpers in Blue" is one MAC initiative. Each December his program partners traumatized youth with Bloomington Police Officers to shop for holiday gifts for the child and the child's family members. TLC has been partnering with Westwood Elementary School since November 4, 1956 when they held their first services in the school. 10 years ago Recently the church began a program called the "Reading Buddies" where 1 adult and 1 or more students come together weekly to read. For those who couldn't serve during the school day, TLC also began the Pen Pal program where the adult will write letters to 4th graders who they were matched with throughout the year. 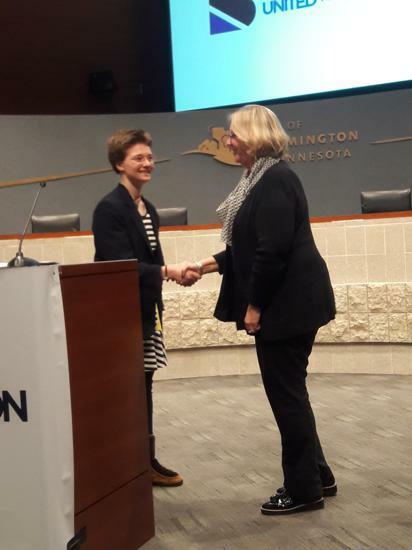 For 25 years, Sue Martel served as the Volunteer and Homework Connection Coordinator for Bloomington Public Schools. 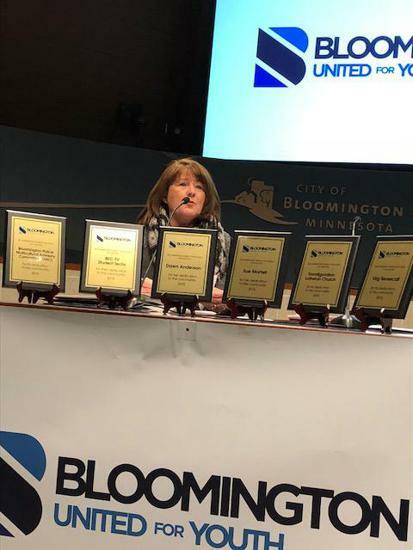 She has been champion of recruiting friends and community partners all over Bloomington - and beyond - to encourage people to give an hour or two of their time to support students. She recruits outside the walls of the schools; grocery stores, faith communities, community events and even the pickleball courts! She is the reason the Volunteer Connection office retains volunteers year after year. Sue is genuinely interested in each volunteer and finds the appropriate placement within the schools, so they feel happy and fulfilled as volunteers. 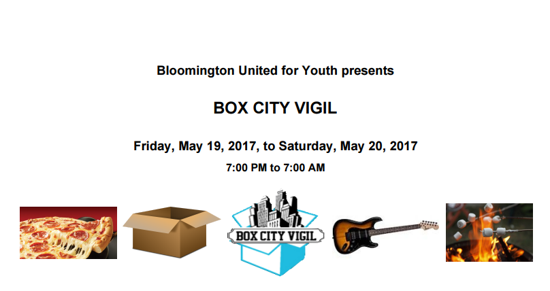 Box City Vigil is a very fun event to raise awareness for youth homelessness! Everyone brings in boxes to build a small shelter to sleep in and store belongings for the night. There will be pizza, live music, ultimate frisbee, and prizes! 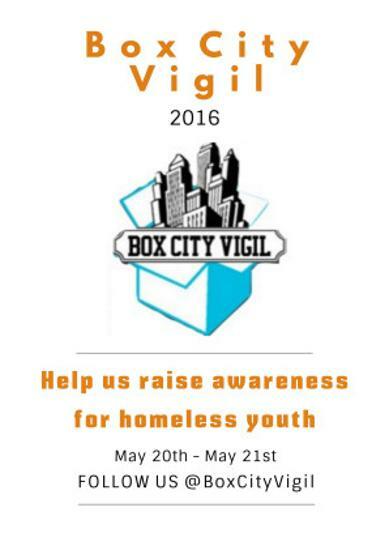 RESGISTRATION: In order to participate in Box City Vigil 2016, we ask that you register by May 9th. IF you are unable to register in advance please bring the form and your $5 to the event by 9pm. The following link below are the forms for more information. 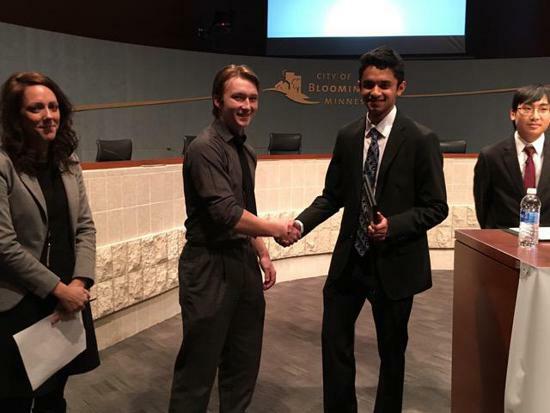 BLLI is a free program that, over about 40 hours spread out over 6 months, will teach participants leadership skills and how to become involved in local government and non-profits by serving on boards and commissions. We believe this program will strengthen our community by encouraging participants to not only take what they have learned and apply it in their personal and professional lives, but also share the information they have learned with their family, friends, and neighbors. Please note that the deadline to apply is Friday, April 21. If you have any questions, please do not hesitate to contact Melissa Wurst-Persaud, at mwurst-persaud@bloomingtonmn.gov or 952-563-4650. For more information about BLLI, visit the official site by clicking here. 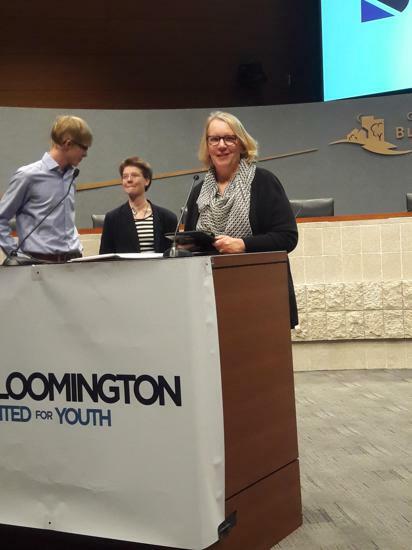 Congratulations to the winners of this year's Bloomington United for Youth (BUY) Volunteer Recognition Awards. Each year citizens across the city are invited to nominate individuals and groups who volunteer their time to make our community & world a better place. 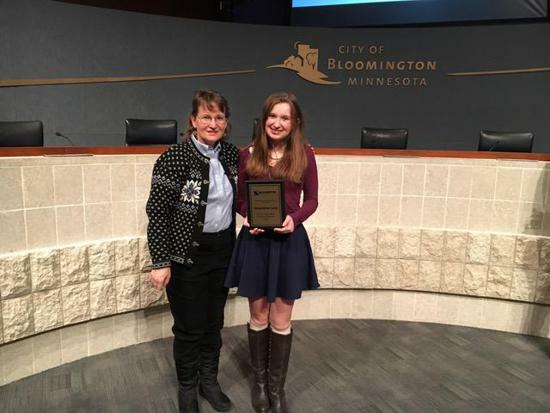 The winners were formally recognized for their efforts at a ceremony on February 7 in the Council Chambers at Bloomington Civic Plaza. 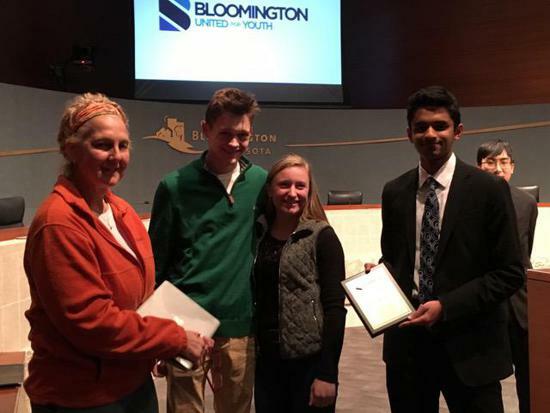 Dignitaries from Bloomington Schools and the City of Bloomington were on hand to help honor the winners. 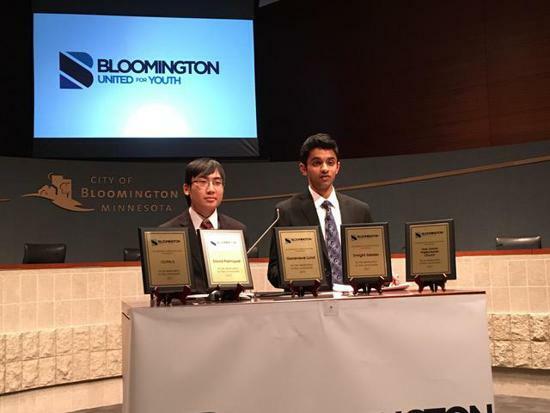 BUY Youth Co-Chairs Phoupasong Phaviseth and Bharath Sivaram presided. 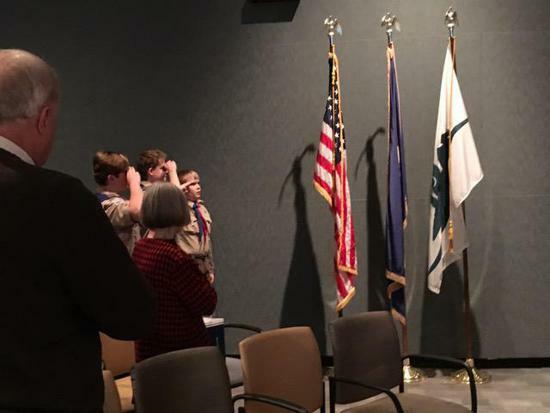 Members of Boy Scout Troop 374 (Nativity of Mary) provided an honor guard, and Jefferson brothers Nathan and Landon Glenna provided entertainment. 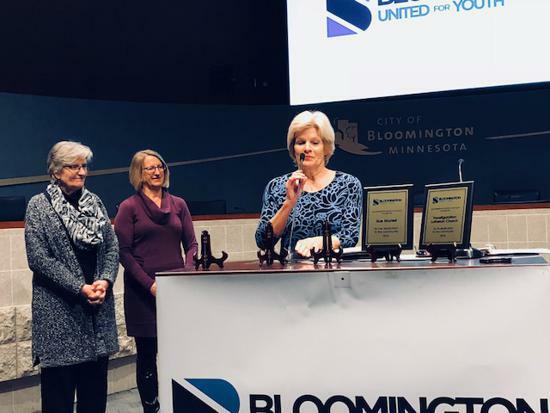 Bloomington United for Youth (BUY) will host the annual BUY Volunteer Recognition Event on Tuesday, February 7 to honor youth, adults, and community groups that make a positive difference through volunteerism. 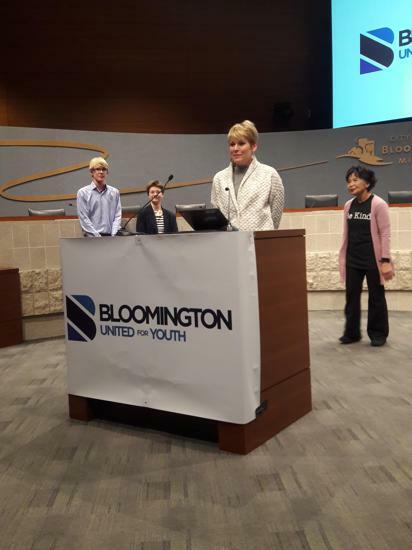 BUY is a volunteer organization that works to engage the entire Bloomington community in the positive development of youth. 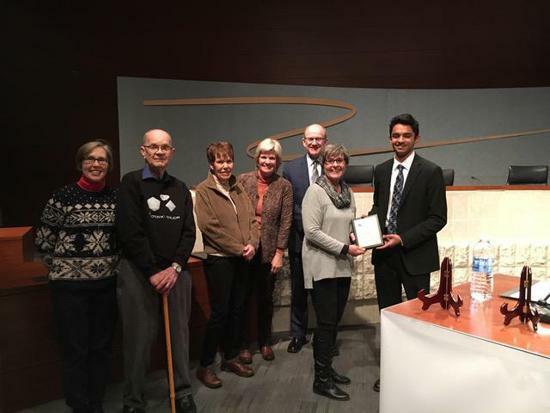 BUY is composed of members from local government, schools, the faith community, businesses, civic and service organizations, as well as youth. BUY’s philosophy is based on the 40 Developmental Assets developed by the Search Institute. 1. 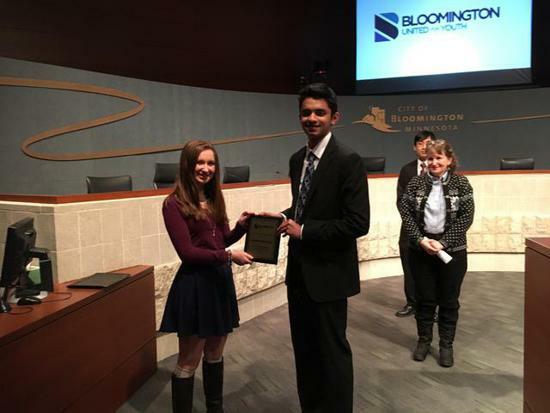 Resident of - or student in - Bloomington in grades 6-12. 2. Activity should be done as a volunteer. 3. Youth has demonstrated volunteer services for a committed amount of time. 2. Group has demonstrated volunteer services for a committed amount of time. 1. Activity should be done as a volunteer. 2. 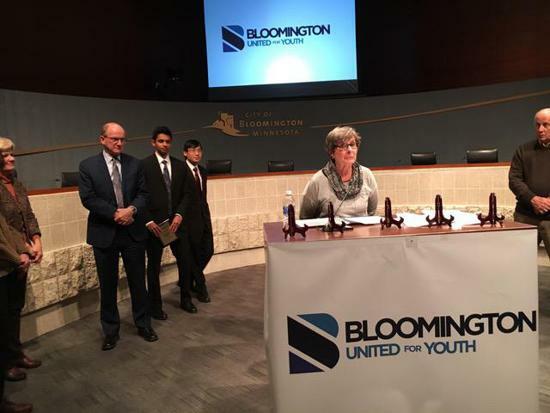 Activity should benefit Bloomington youth. 3. Adult has demonstrated volunteer services for a committed amount of time. 1. Organization should be composed of primarily volunteers. 3. Group has demonstrated volunteer services for a committed amount of time. The city of Bloomington will be hosting a job fair Saturday, January 7, 2017 - 10:00am to 1:00pm at Civic Plaza. It focuses on seasonal jobs and internships. 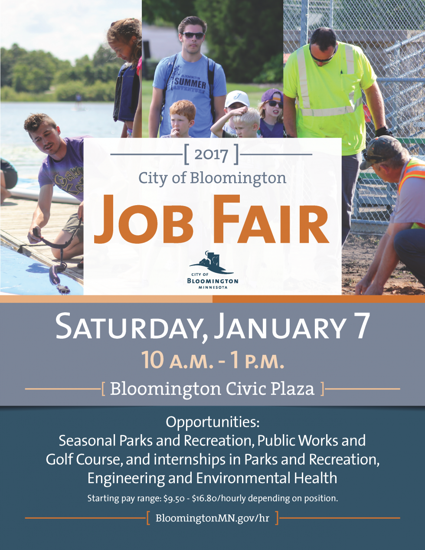 For more information click on the following link https://www.bloomingtonmn.gov/events/city-bloomington-job-fair-2017-01-07. A conversation between youth and cops. 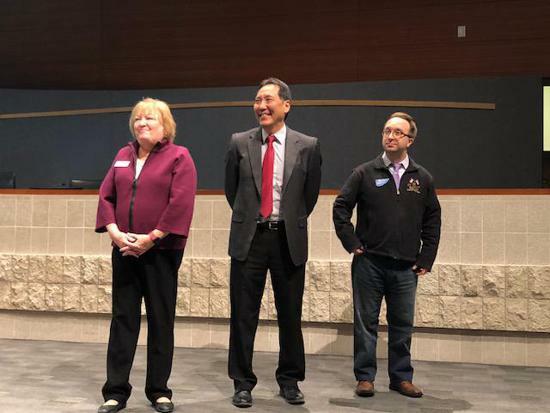 Community members of the Multicultural Advisory Committees of Bloomington and Richfield invite you to a community wide dinner, collaborative presentation of personal stories from high school youth and police officers, and post show discussion. 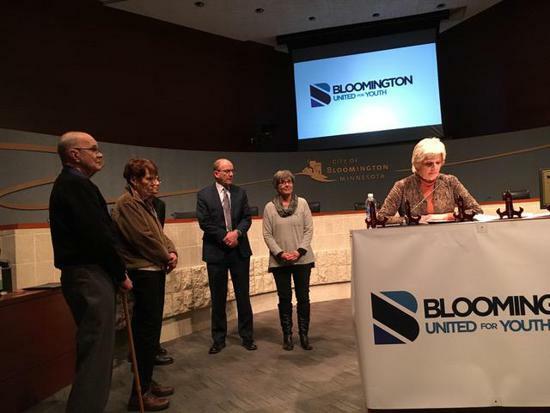 Over the next 20 years, Bloomington will need to respond to a variety of changes that will impact development, public infrastructure and the services the City provides. 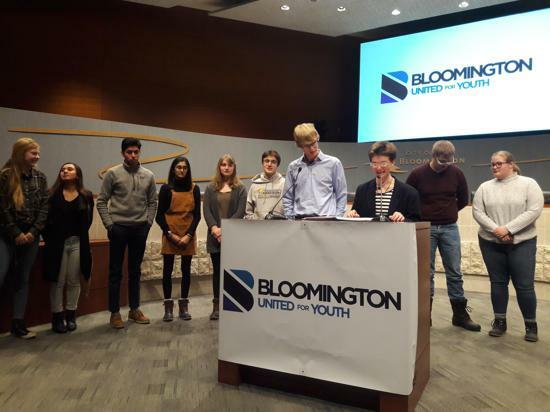 Help us update the future vision for Bloomington as well as develop goals and strategies to achieve the vision by taking this survey. 2016 Kennedy Student Council volunteer recognition awards. Visit the Box City website by clicking the image above! 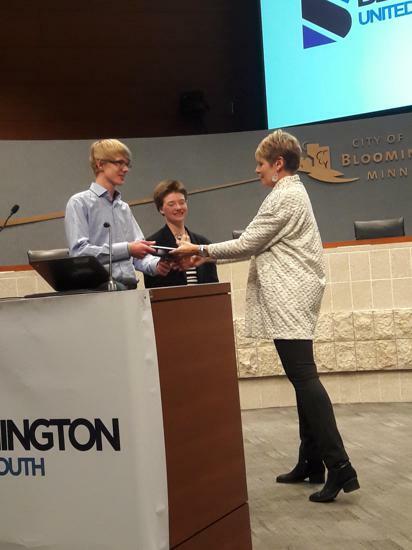 Congratulations to the winners of the 2016 Bloomington United for Youth (BUY) Volunteer Recognition Awards. 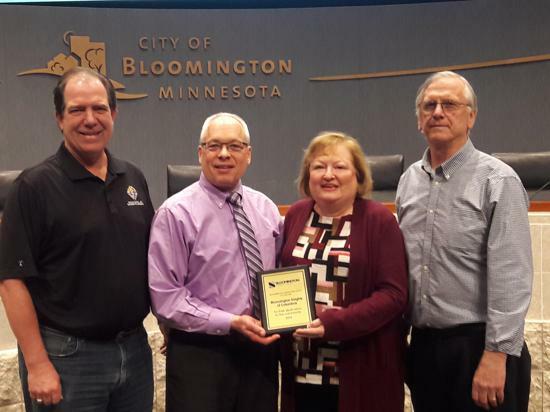 Each January, citizens across the city are invited to nominate individuals and groups who volunteer their time to make our community & world a better place. 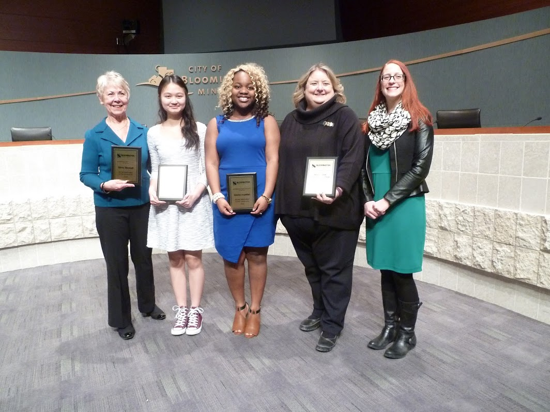 The winners were formally recognized for their efforts at a ceremony on February 9th in the Council Chambers at Bloomington Civic Plaza. 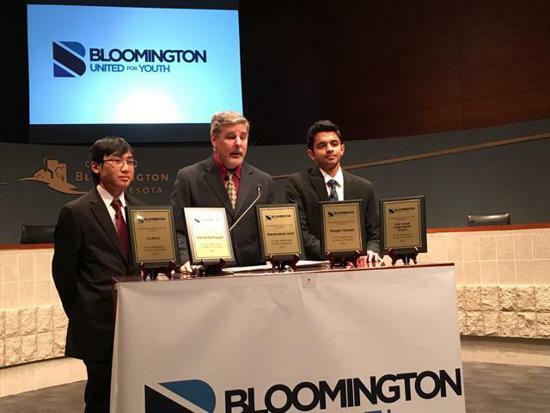 Dignitaries from Bloomington Schools and the City of Bloomington were on hand to help honor the winners. 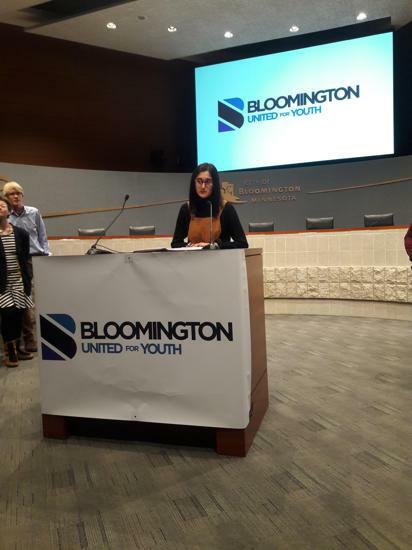 We are looking for members to join in helping with our initiatives - specifically someone from the faith community, someone from law enforcement, Bloomington students that are in middle school (public or non-public) and high school students (we are in need of people to start taking over student roles on our initiatives). Members of the business and non-profit/social service Bloomington community are also welcome. See our next meeting dates here. 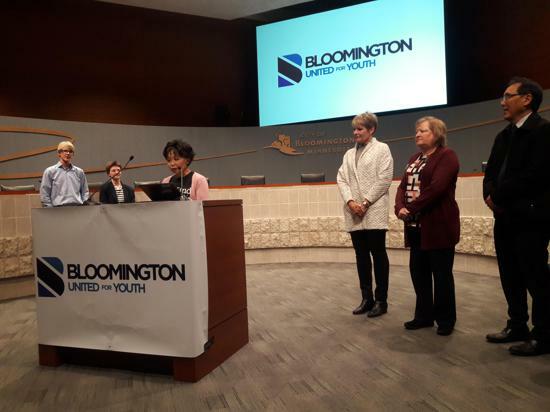 Bloomington United for Youth (BUY) is the place in Bloomington where all things related to youth meet. 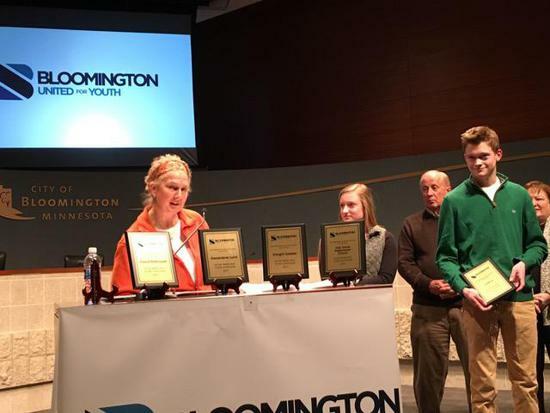 From fun events for high school students to educational seminars for parents – and everything in between – BUY is working to engage the entire community in the positive development of youth. 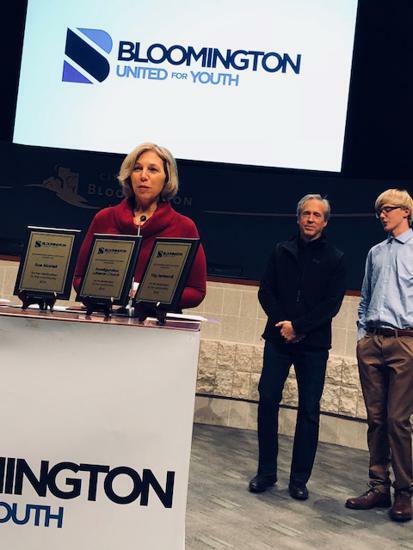 Bloomington United for Youth would like to thank the Education Foundation of Bloomington for funding through their grant. The EFB is a volunteer, not for profit, philanthropic organization. 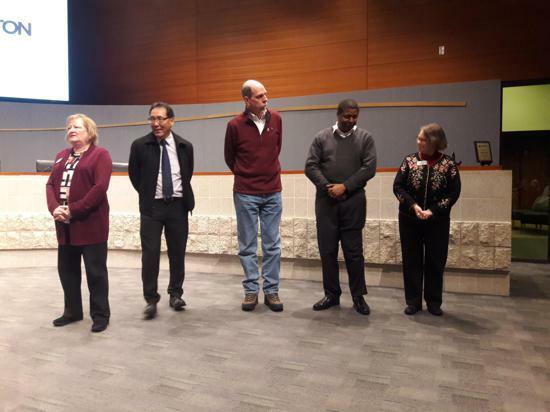 Our Board of Directors includes community and business leaders, school personnel, and parents.